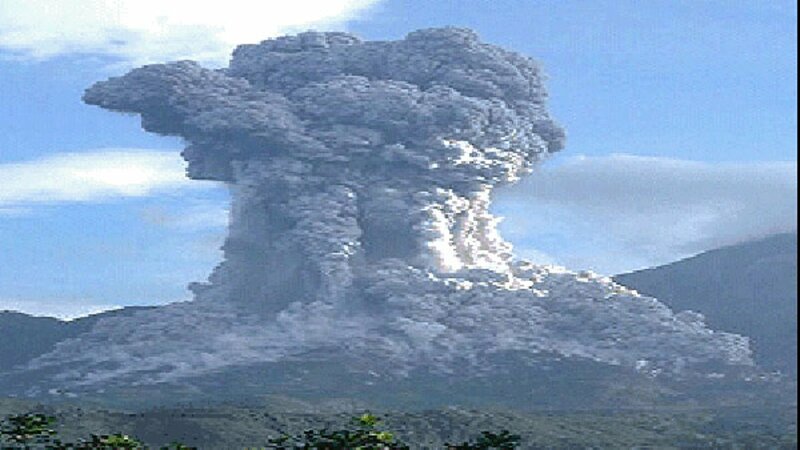 GUATEMALA CITY -- The Santiaguito volcano spouted a plume of ash Tuesday that rose 16,400 feet (5,000 meters) above sea level and scattered ash into neighboring Mexico. The National Seismological Institute said the eruption took place at about 7 a.m. at the volcano, which is about 65 kilometers (40 miles) from the Mexican border. David De Leon, spokesman for Guatemala's disaster response agency, said ash fell as far away as the southern Mexico state of Chiapas, where authorities described the fall in cities such as Tapachula as light. De Leon said the volcano is one of the most explosive in Latin America, with about 76 eruptions this year. Santiaguito is a crater on the slope of the 12,375-foot (3,772-meter) Santa Maria volcano.